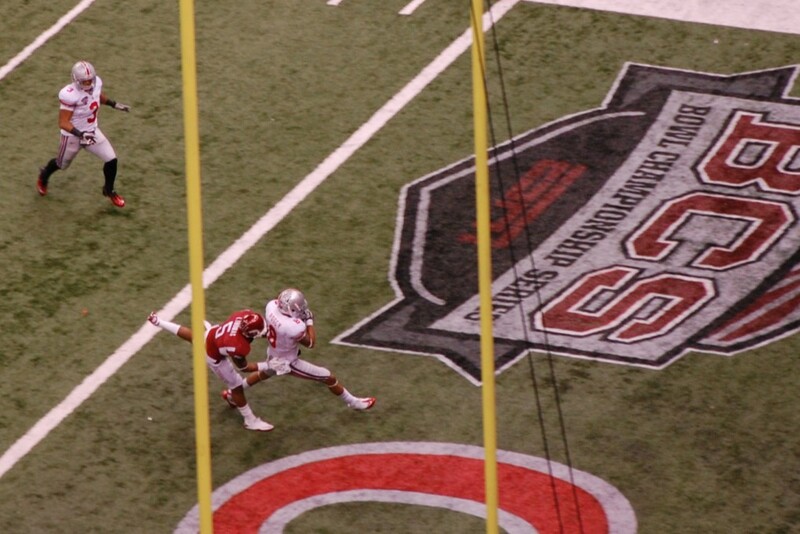 Buckeyes win the Sugar Bowl! 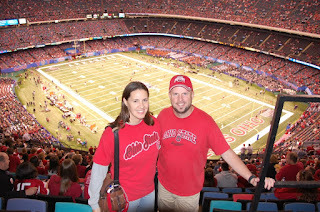 Allen and I got to go watch THE Ohio State Buckeyes at the Sugar Bowl in New Orleans, a mere 11 hours away from our current home in Florida. My favorite brother (ladies, he's single, if interested, call me!!) 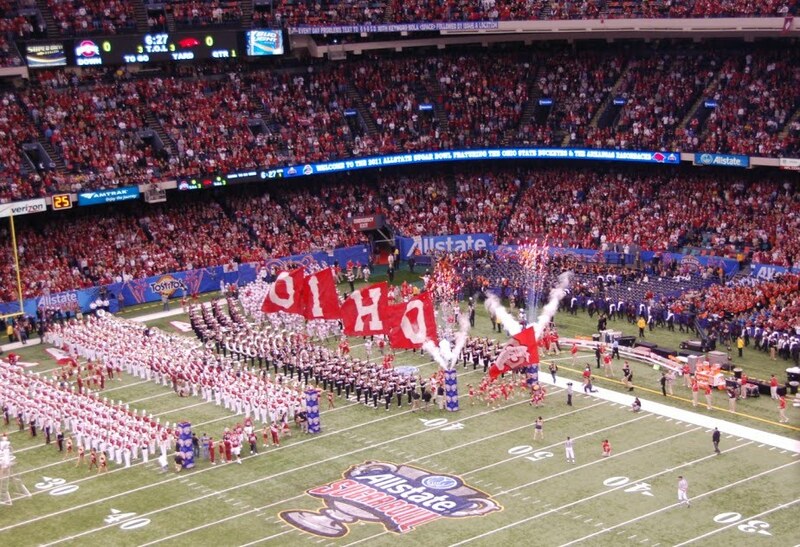 got us tickets and free hotel rooms in New Orleans! The kids stayed with the Grands and Allen and I hit the road for our first road trip without our RV in, we can't remember how long! Freedom and quiet! ...An hour or so down the road, we were bored and missed the non-stop questions from the backseat. :) But we enjoyed the time together, the trip, ocean views, some interesting animal life/roadkill, and especially seeing other Ohio State fans on the road! 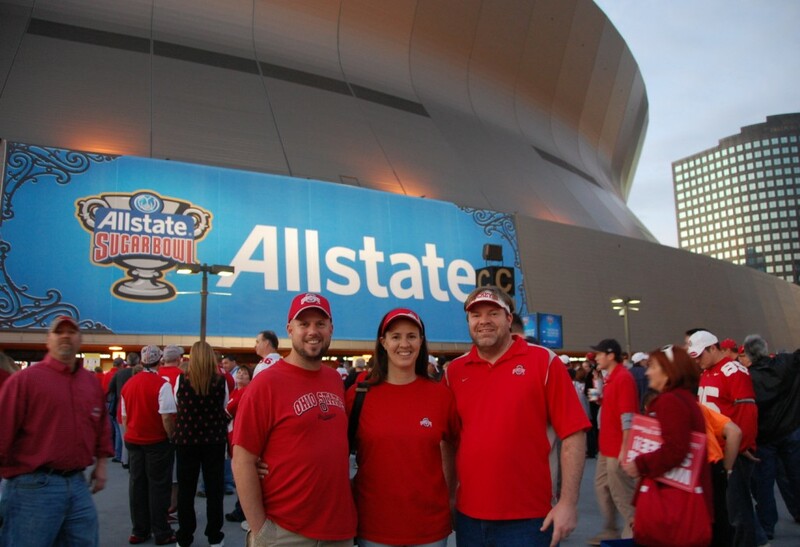 We of course were decked out in our Buckeyes gear, along with half of the 73,000 fans at the Superdome. We enjoyed the Fan Fest outside with a concert, games, free tacos, and lots of fun rivalry! 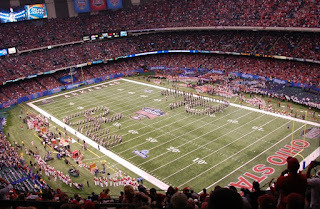 Then, after quite a line, and security that didn't notice pocket knives, we were inside the Superdome! It was quite a bit smaller than OSU's Horseshoe for regular games, so that was kind of weird. Darius Rucker sang the national anthem (Hootie?!) 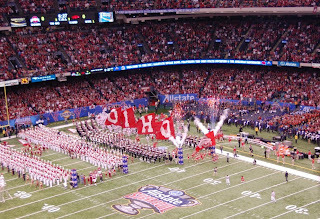 and we got to see THE Best Band in the Land's Script Ohio. And of course we loved the way-too-close-edge-of-your-seat-although-we-rarely-sat game, especially the end when we WON! 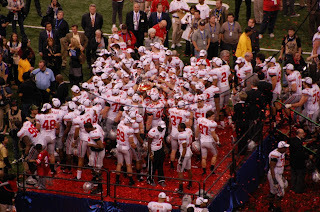 The celebration was fun and singing Carmen Ohio just awesome (video below). I must say this though. We met some lovely Arkansas Razorback fans, although if I never hear another Woooo Pig Sooieee again, it'll be way, way too soon. (And really, you don't call wild hogs?!) But as stupid as OSU fans can be (riots, fires, really, they can be idiots), at a game, the cheers are FOR our team, not against the other. 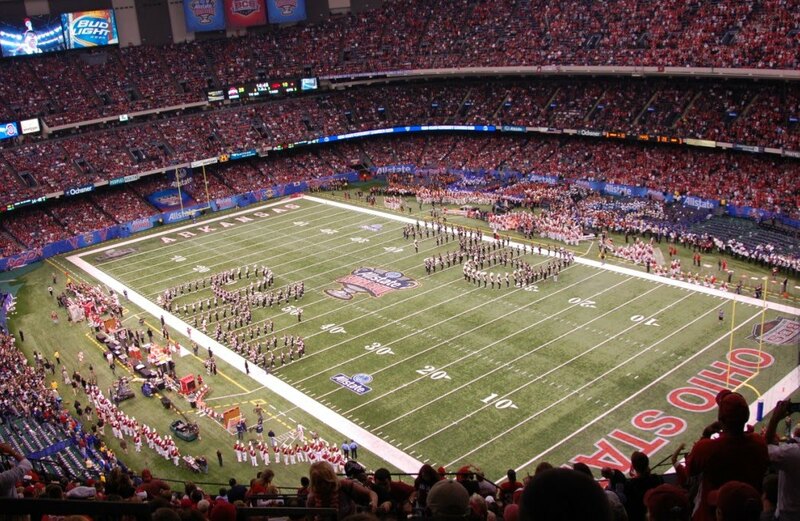 And you would never hear them booing the other team's band. Just had to say that, for the record. Go Bucks! 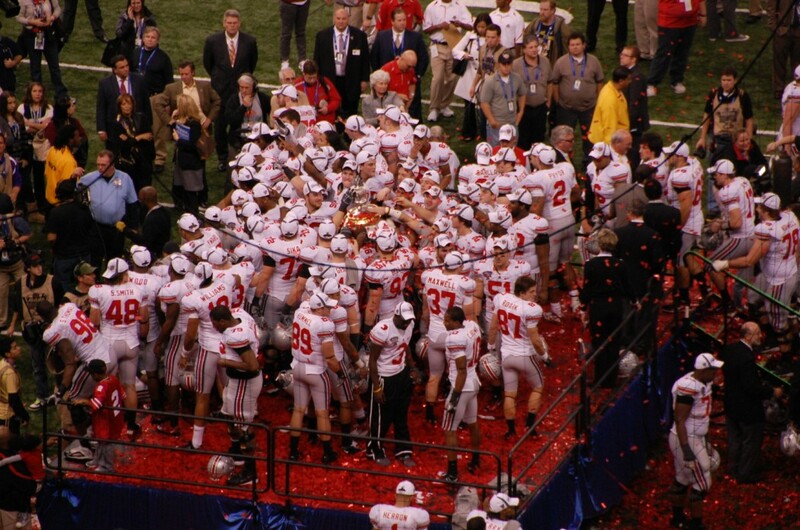 The great tradition of Carmen Ohio after the game. O-HI-O!